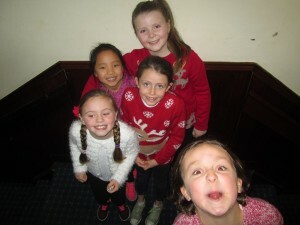 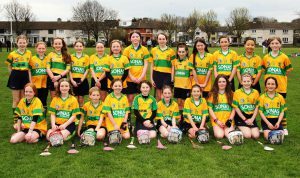 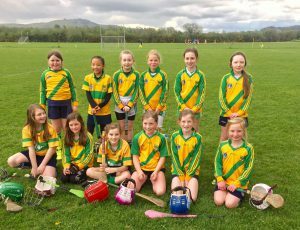 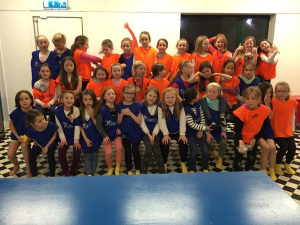 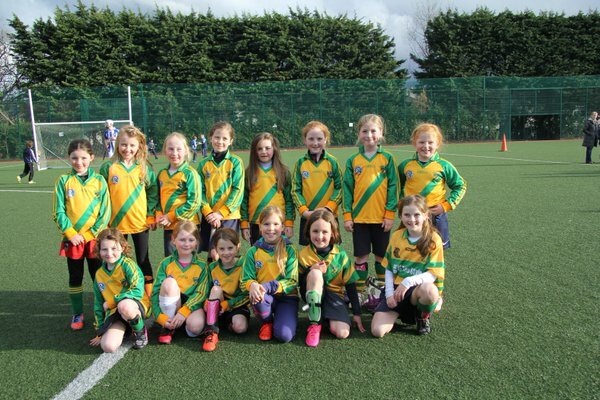 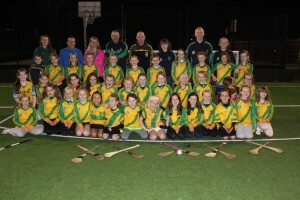 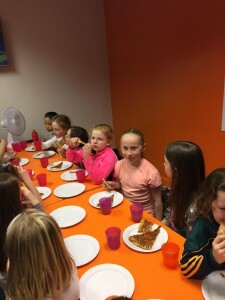 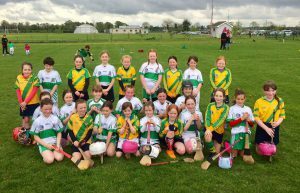 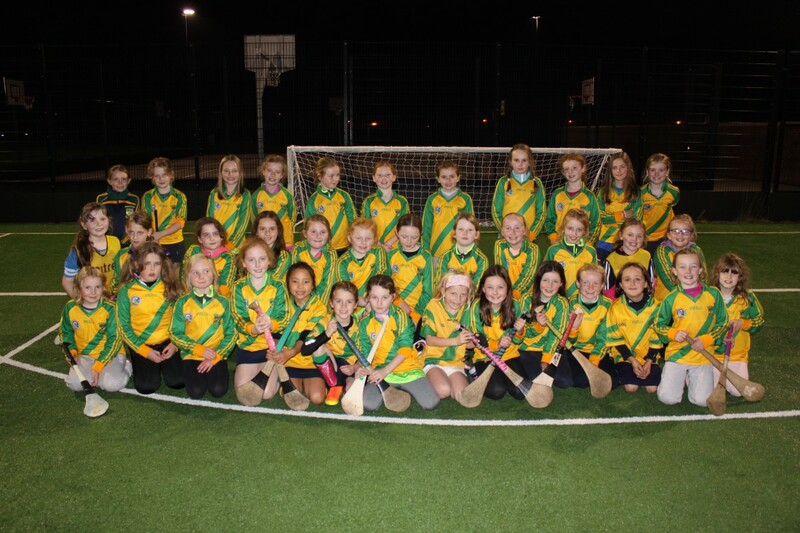 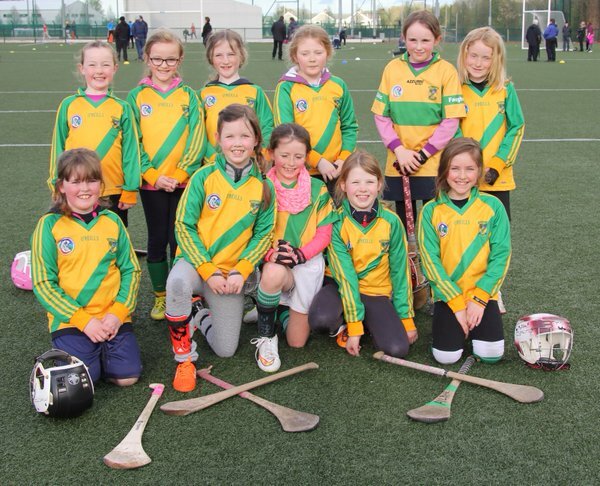 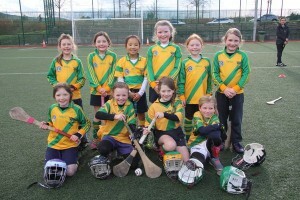 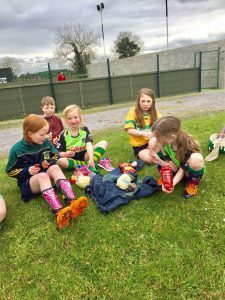 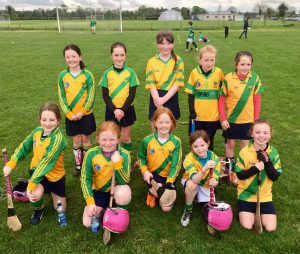 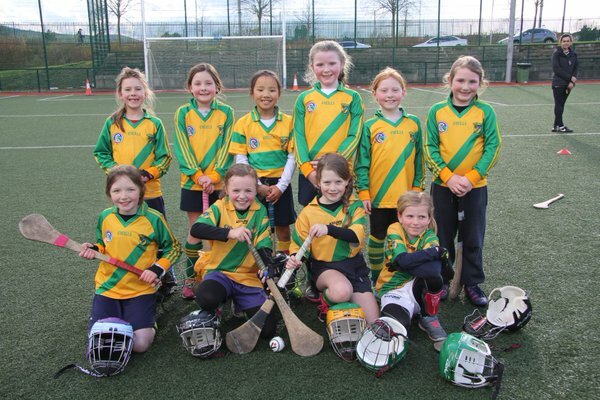 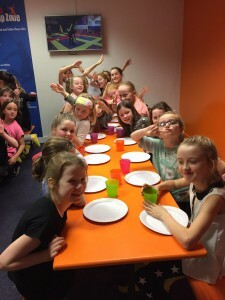 The Under 12 team is for girls born in 2007 or in 5th class in school (2018/2019). 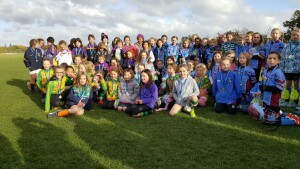 GO GAMES rules apply for this age group. 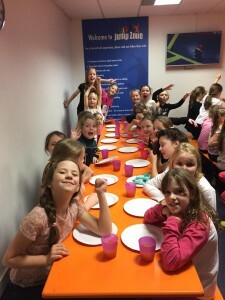 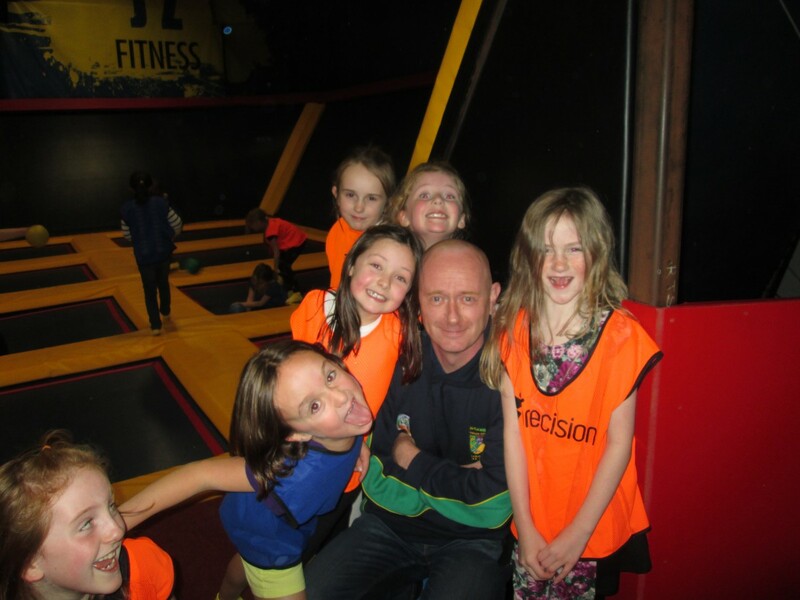 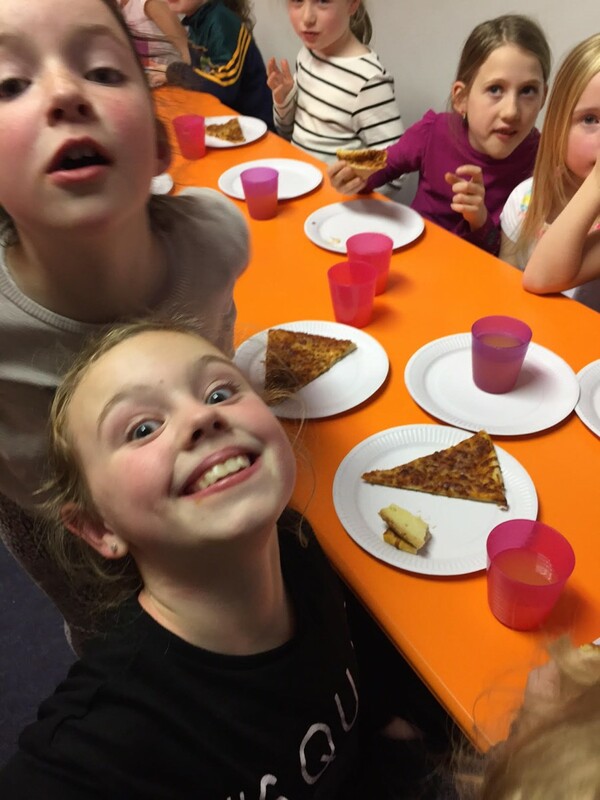 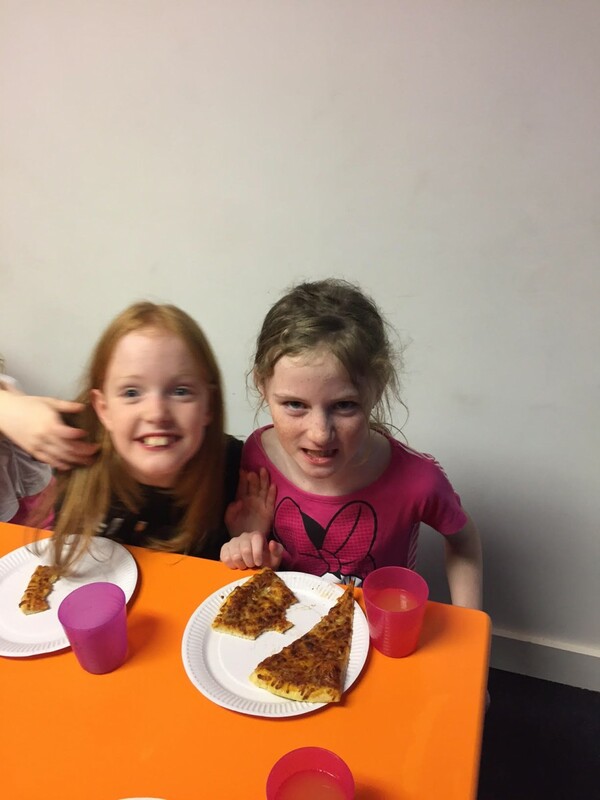 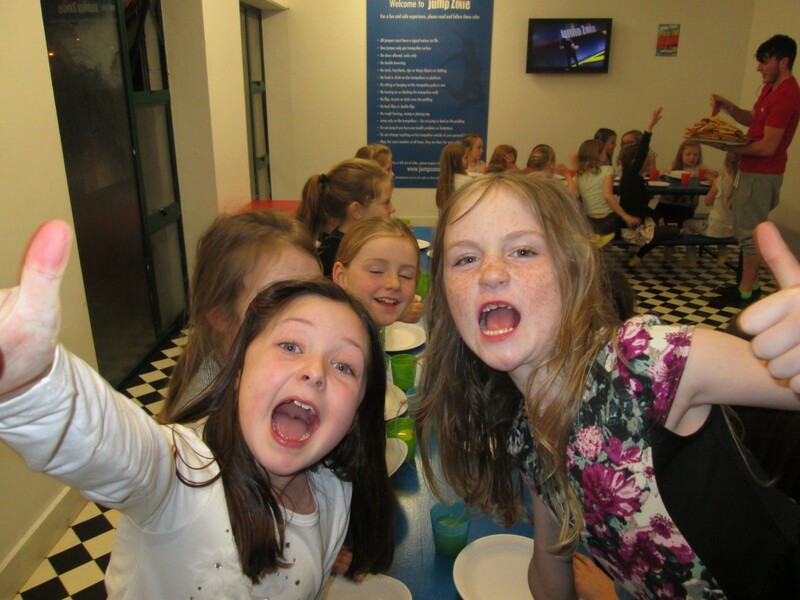 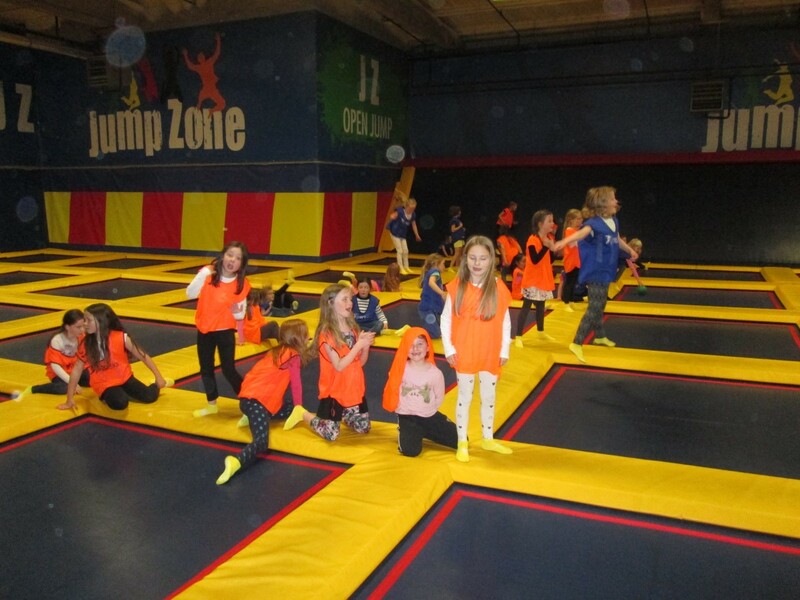 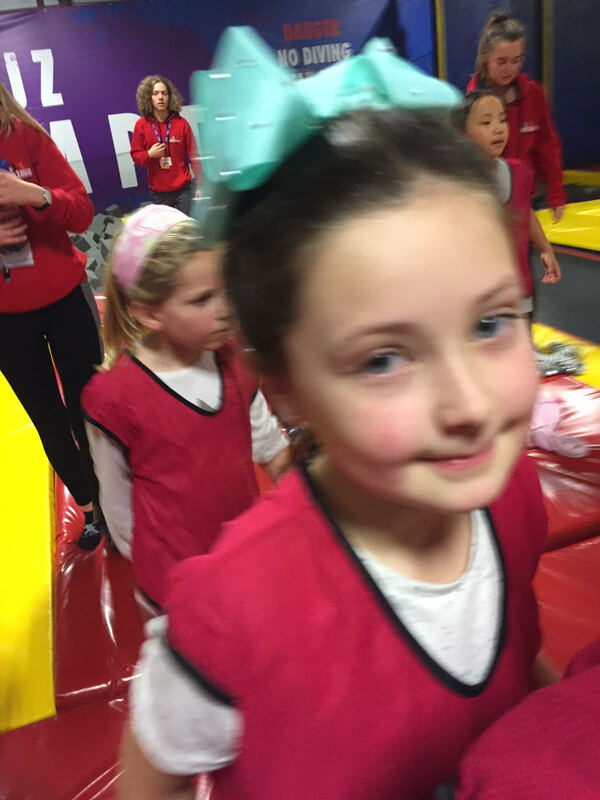 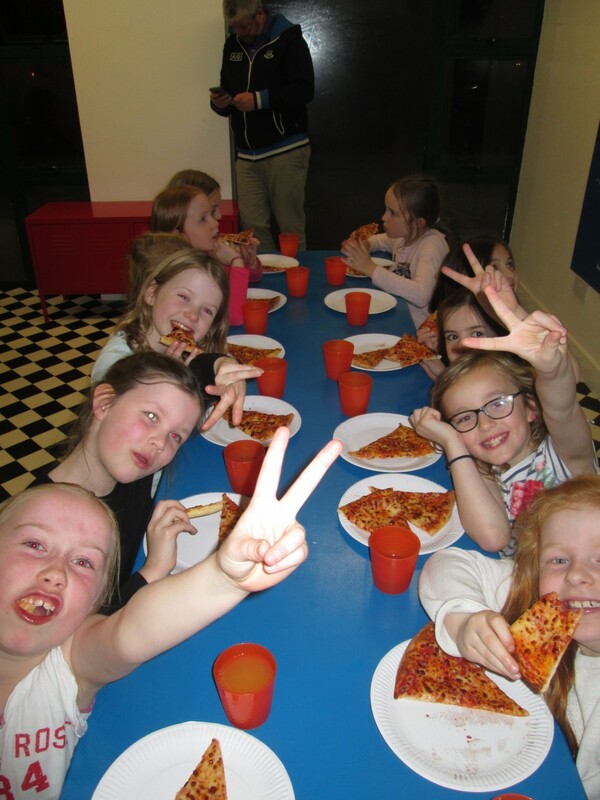 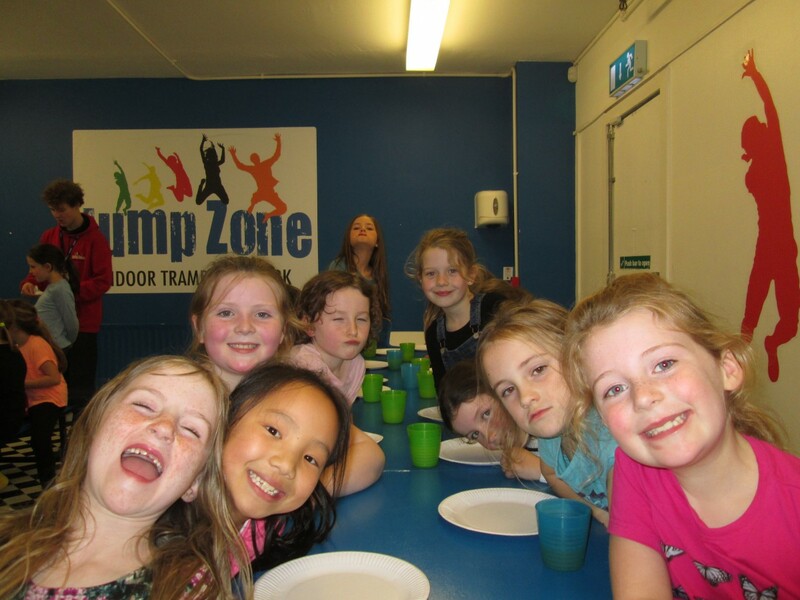 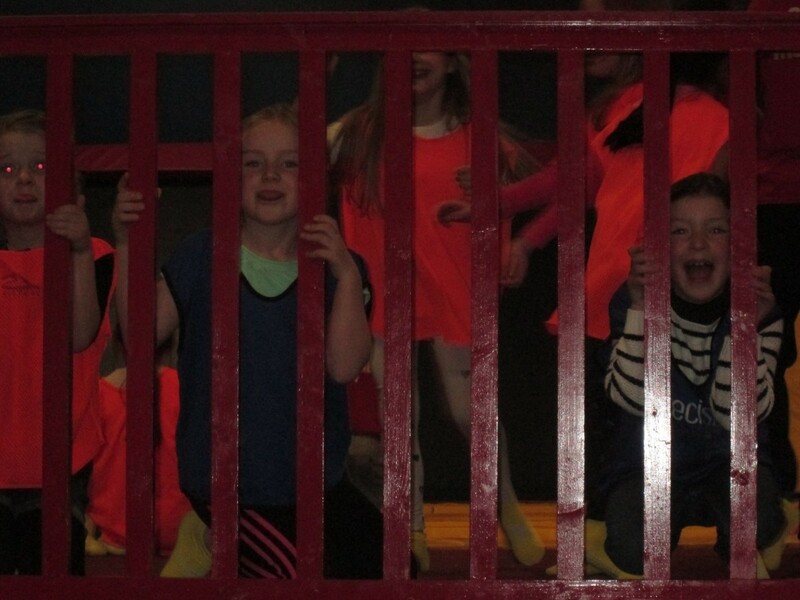 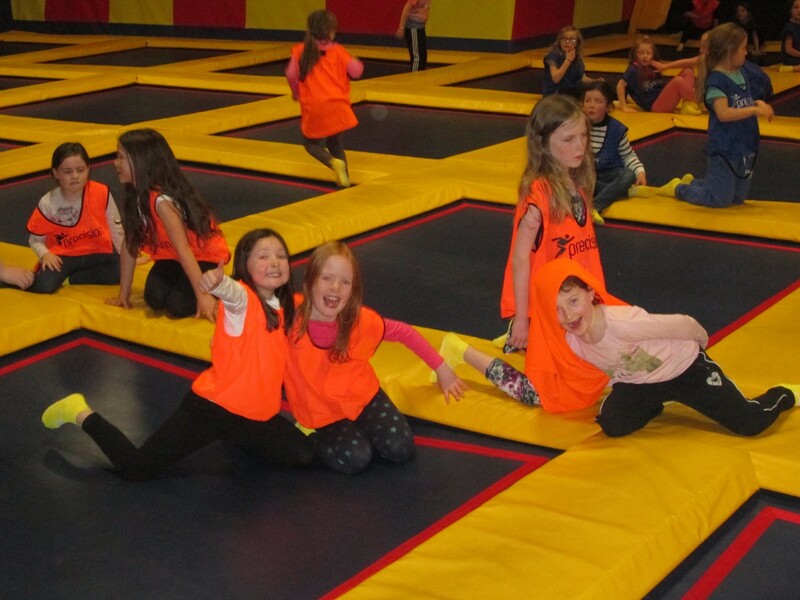 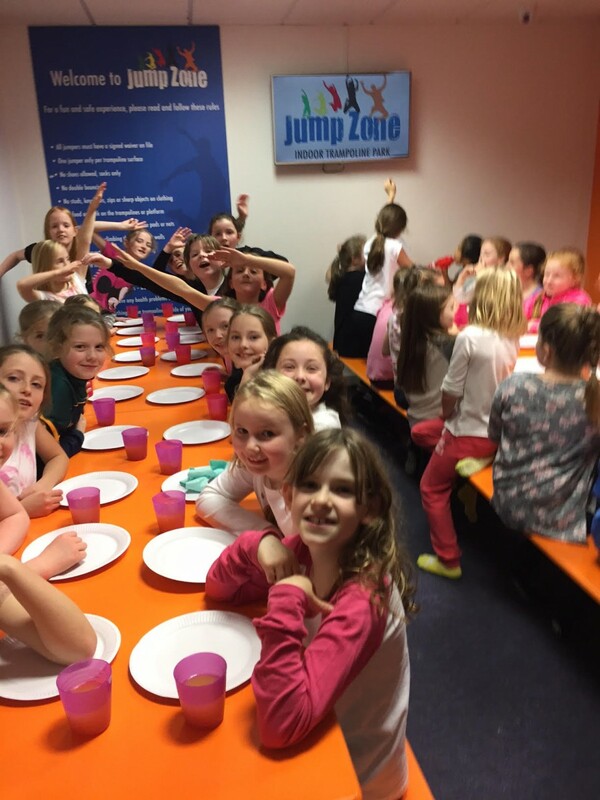 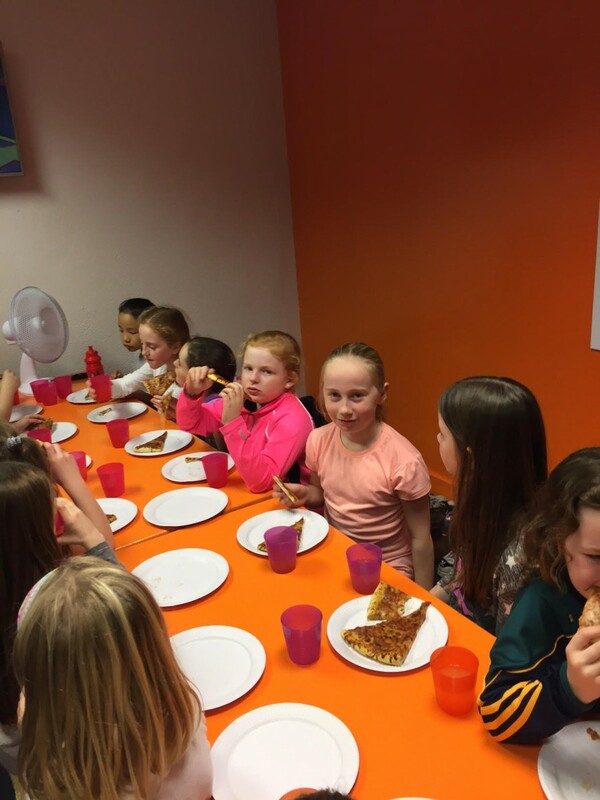 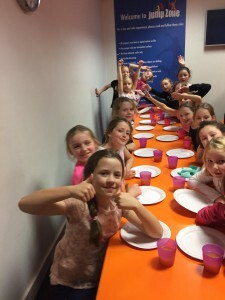 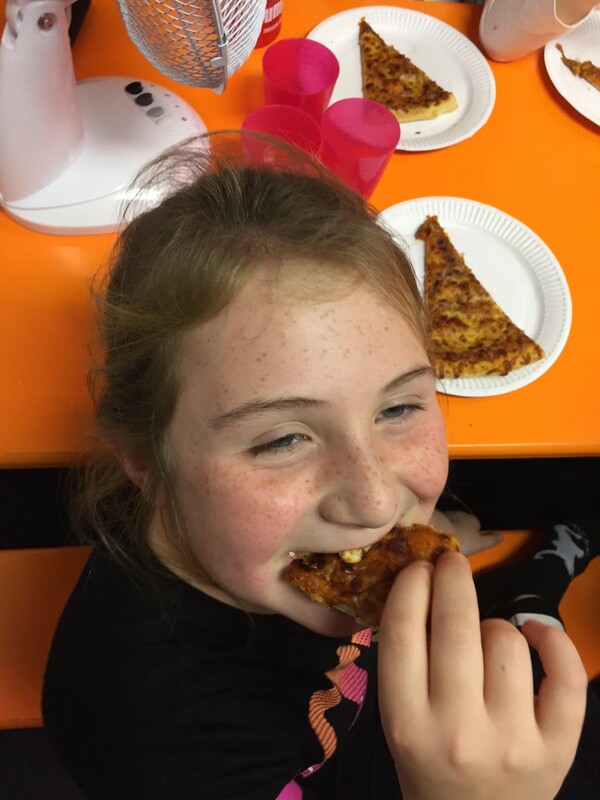 The aim at this age is to learn and develop skills in a friendly, fun and supportive environment. 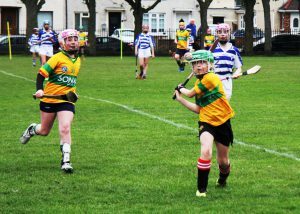 Matches and blitzes are non competitive with the emphasis on participation and enjoyment rather than winning. 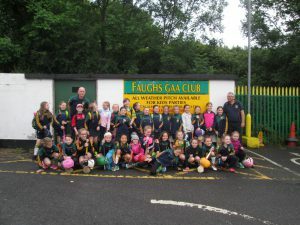 Training takes place every Thur, 6.30pm – 7.30pm and each Sat 5.00 – 6.00pm on the astro at the Faughs clubhouse. 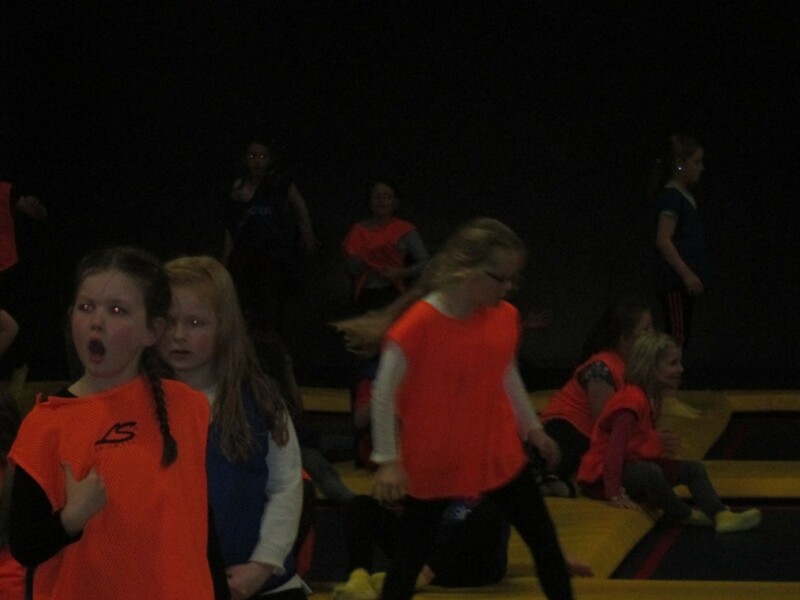 Each girl should bring their own rubber wall-ball with them to all astro training sessions. These are available from the club shop for €5. 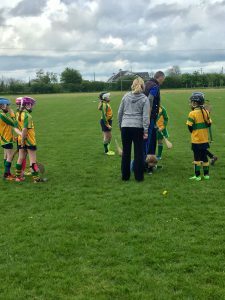 Fixtures are also sent out to all parents or guardians via our parents WhatsApp group. 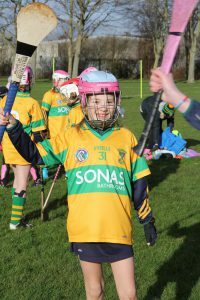 Roisin has also created a very handy calendar that can keep you up to date on all events related to the U11s. 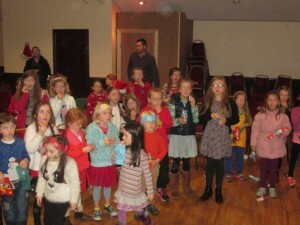 Contact roisinmcgarry@gmail.com for further details. 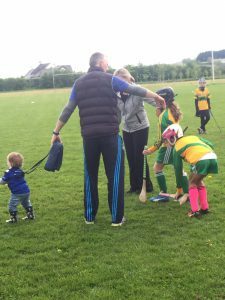 You do not grow into a hurl. 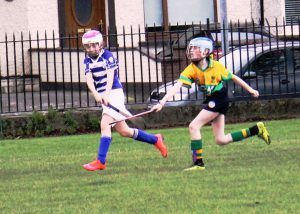 You wouldn’t buy your child a pair of Football boots that were 3 sizes too big so don’t do it with their hurl. 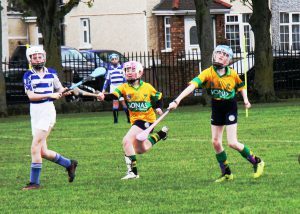 They cannot develop a wristy hurling action if their hurl is too big or too heavy. 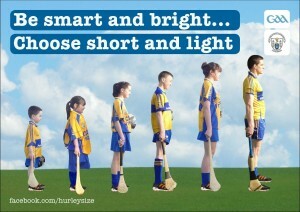 Small and light is always right. 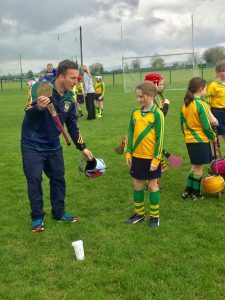 Do not seek advice from sports shops staff as they are clueless and invariably advise towards a longer hurl that will be unsuitable. 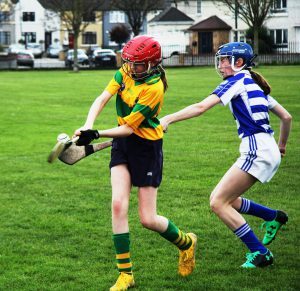 Hurleys should NEVER be measured to your hip. 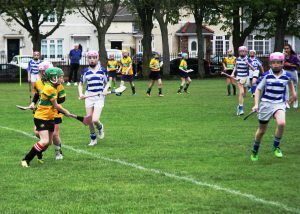 Oversized and heavy hurls hold back development at a time when they need to be mastering the basics of the game. 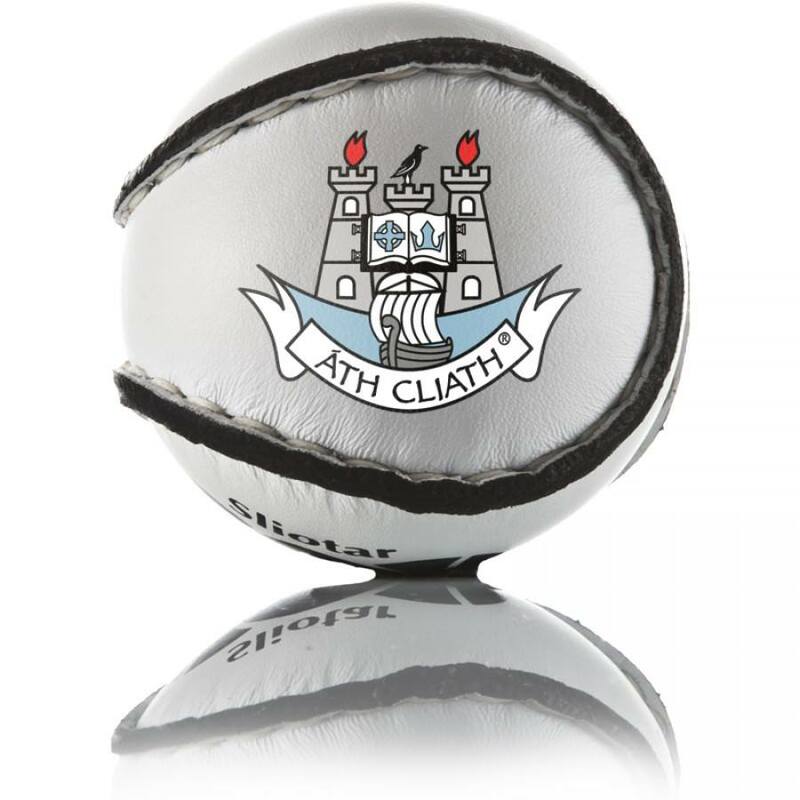 If you are unsure or require any further information please don’t hesitate in contacting Richie or Colm for advice. 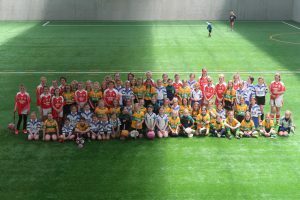 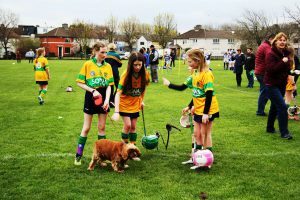 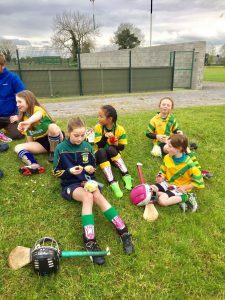 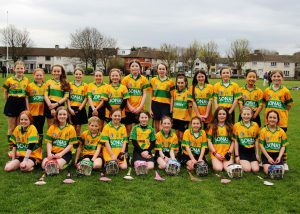 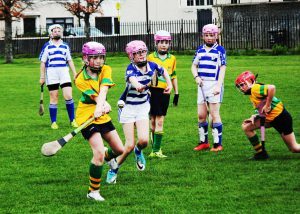 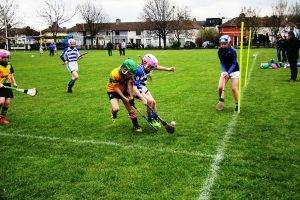 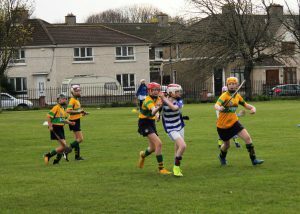 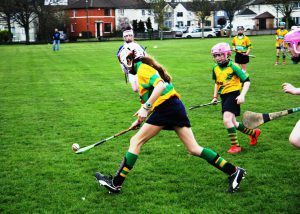 Some photos of our U12 Blitz, March 30th 2019. 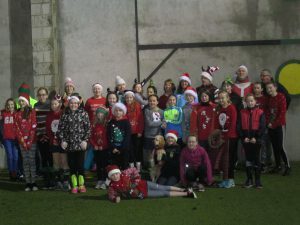 End of season 2018, Christmas Jumper Run before getting back to the clubhouse to scoff some sweets. 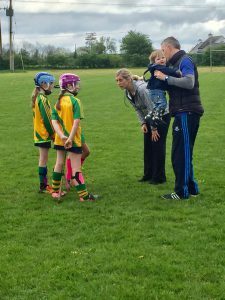 A very handy video for any parents that would like to help their daughters to practise at home. 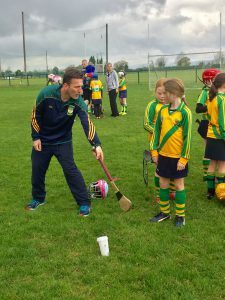 DJ Carey explains the fundamental elements of the game and how they should be performed. 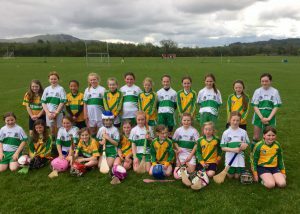 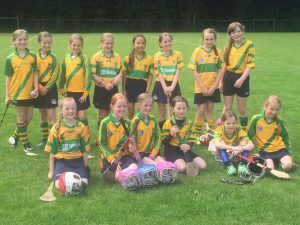 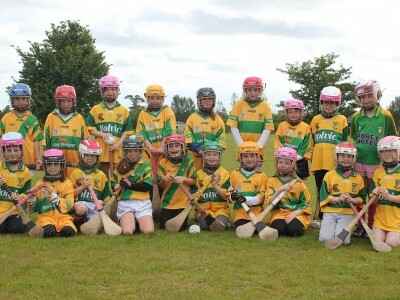 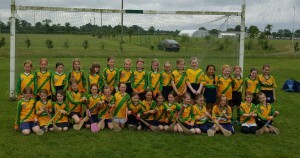 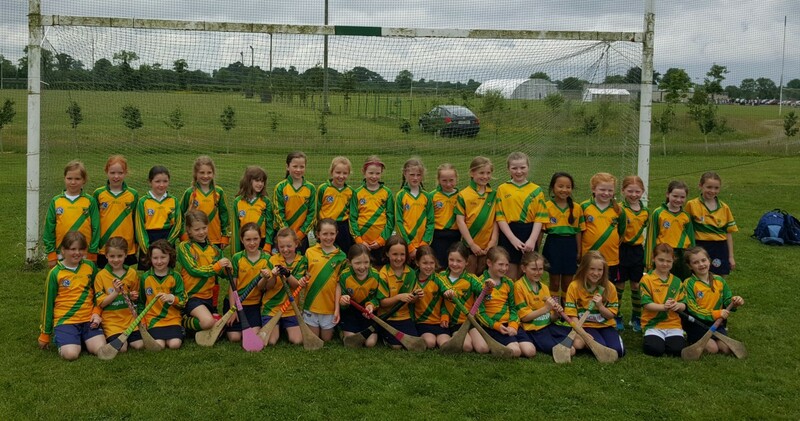 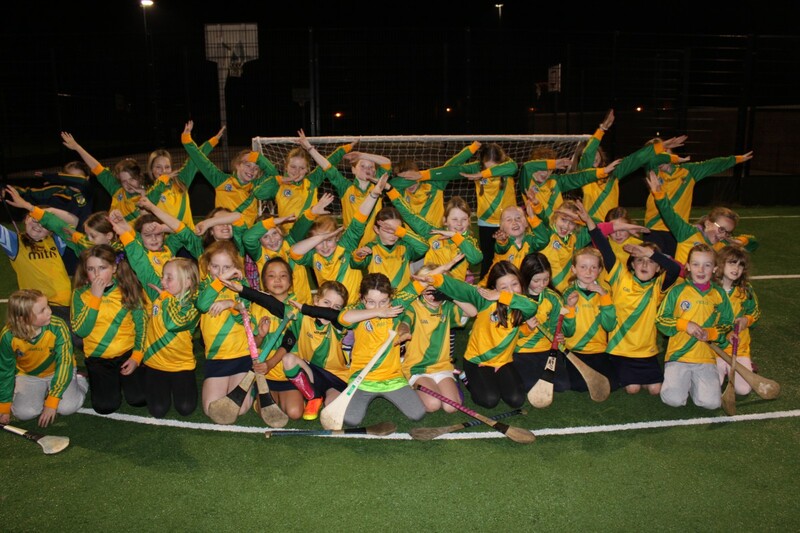 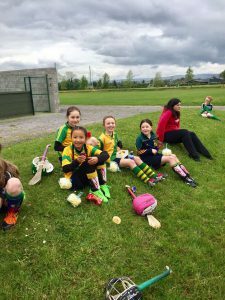 The U11 Camogie crew were away to enjoy a day in the sunny southeast this weekend. 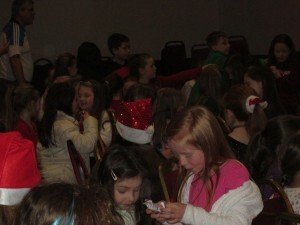 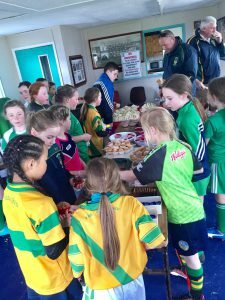 A massive thanks goes out to our fantastic hosts in Craanford Fr O’Regans GAA and Camogie club. 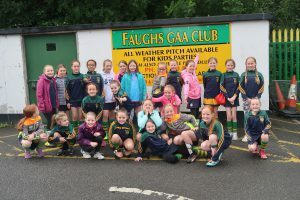 We got to take part in a really well organised blitz, involving 3 teams from Faughs, 2 teams from Craanford and another from Ferns St Aidans GAA. 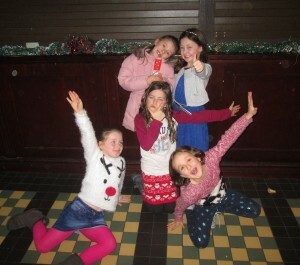 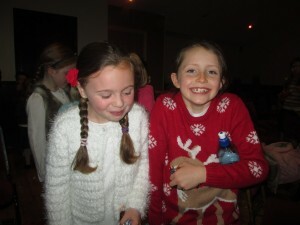 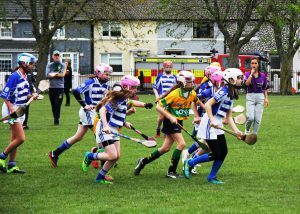 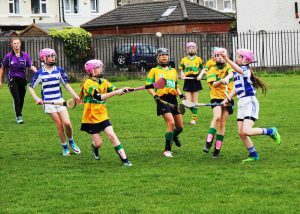 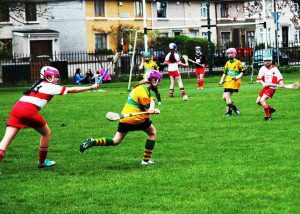 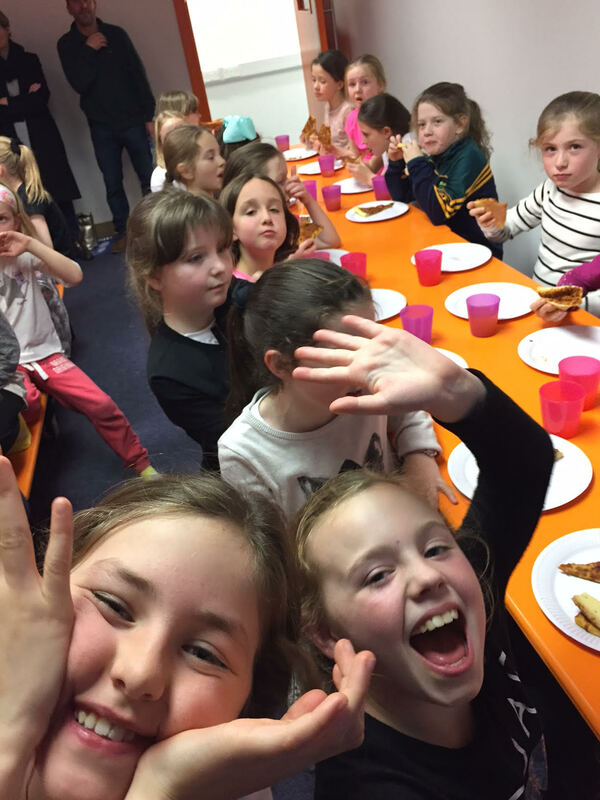 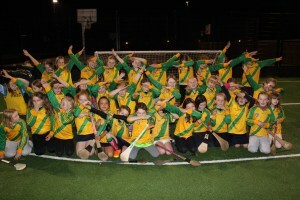 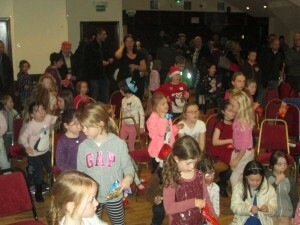 There was a feast of camogie served up by all 6 teams involved and it was well worth the admission money. 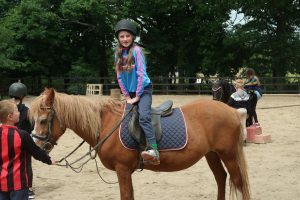 After being fed and watered by our hosts we then moved on to Kiltennel Riding School for some riding lessons and a bit a bit of horseplay before returning home to the clubhouse for some well earned pizza. 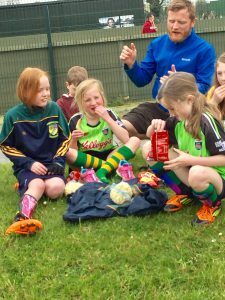 The girls were a credit to Faughs both on and off the pitch. 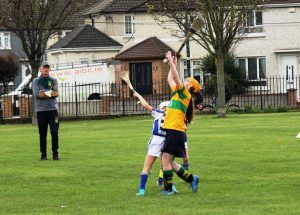 The season opener for 2018 was a trip to Walkinstown to take on Good Counsel. 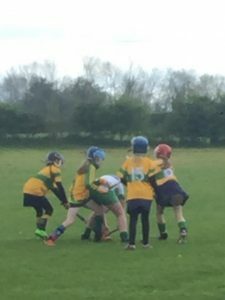 With 2 experimental age-related sides going up against their counterparts from Counsel we managed to come away with 2 wins from 2 on a freezing cold morning. 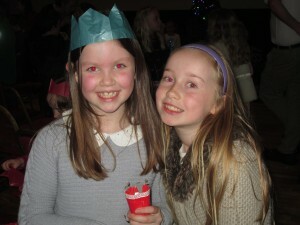 More photos are available by clicking on the link below. 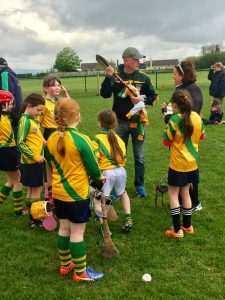 Please encourage your daughters to practice at home as much as possible. 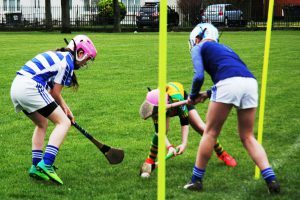 The difference between kids who are good at sport and those who are not is purely down to how much practice they do, “natural talent” has nothing to do with it !. 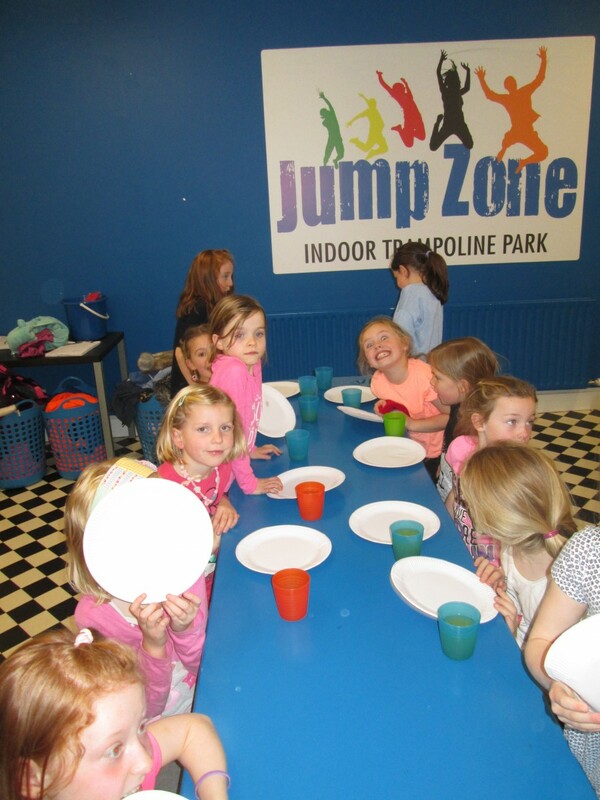 Hit a tennis ball around the garden or up against a wall, practice throwing and catching. 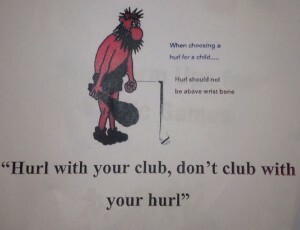 The hurley should always be held in their dominant (writing) hand. 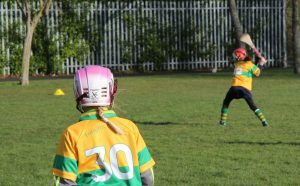 Throw and catch with the non dominant hand. 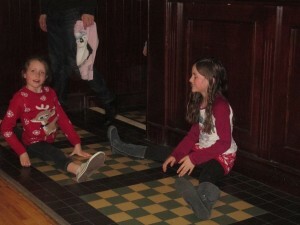 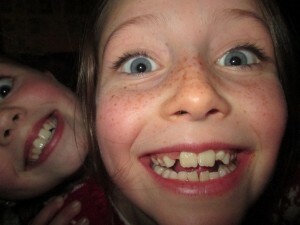 Parents can play an important roll by asking the girls to demonstrate what they have learned. 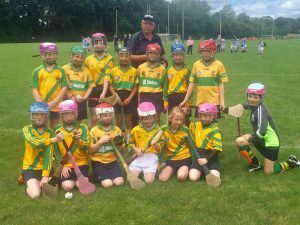 The team that took part in our challenge match against Naas GAA, June 2017. 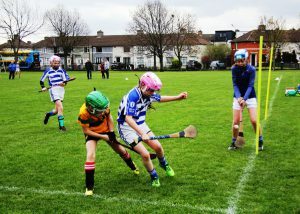 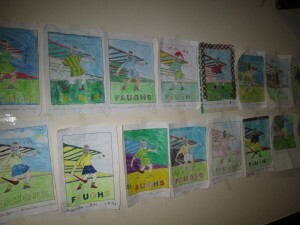 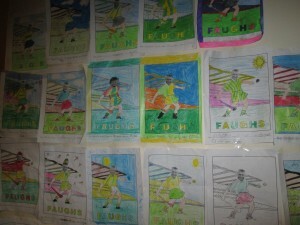 **An interesting read about girls and their involvement in sports, simply click on this link**. N.B. 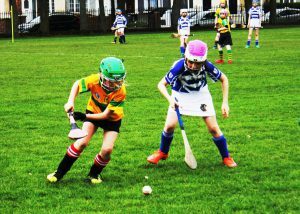 Helmets and Shin guards MUST be worn at all times for both training sessions and matches/blitzes. 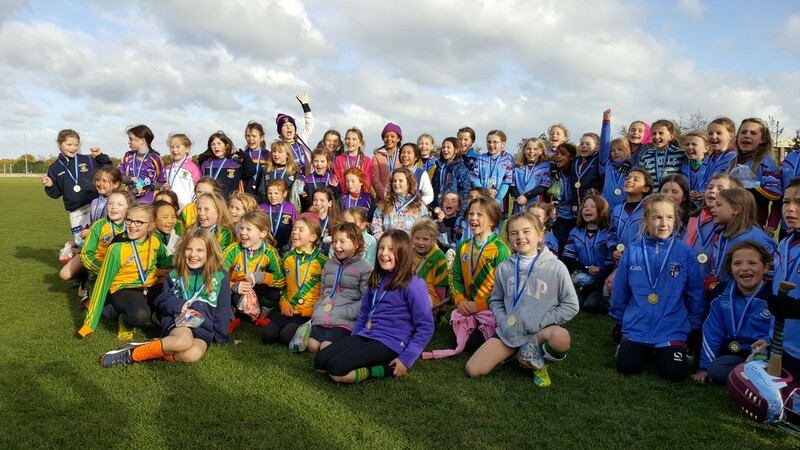 What a great way to finish up the 2016 season. 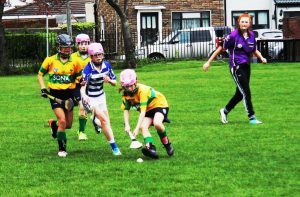 We more than held our own taking 4 wins from six matches against strong Kilmacud Crokes and Naomh Olaf teams. Olaf’s have to be congratulated for their running of this blitz and a big thankyou to them for supplying medals and goodie bags for all the girls. 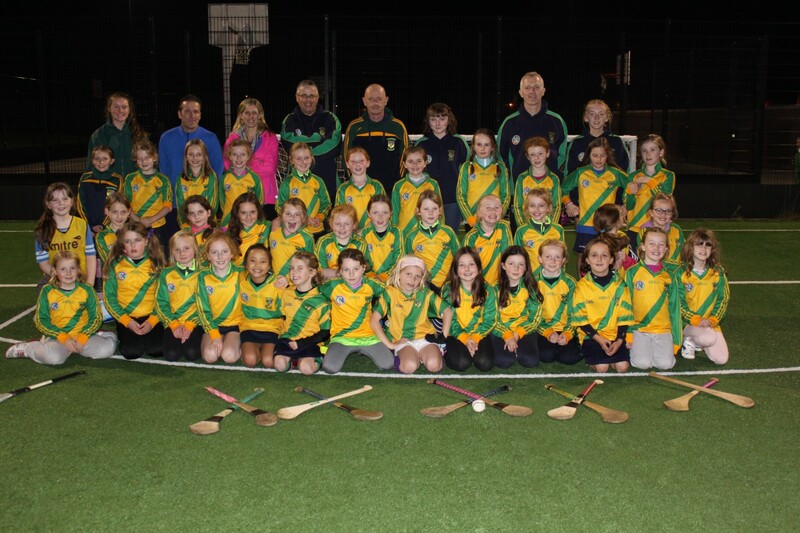 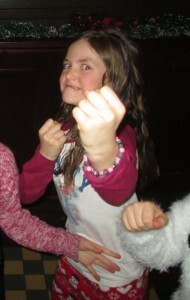 We would just like to say a big Thankyou to our hosts, Portlaoise G.A.A. 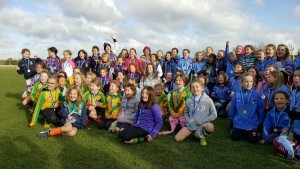 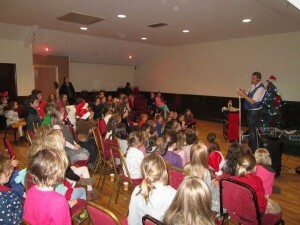 club for putting on an incredible blitz for the girls. 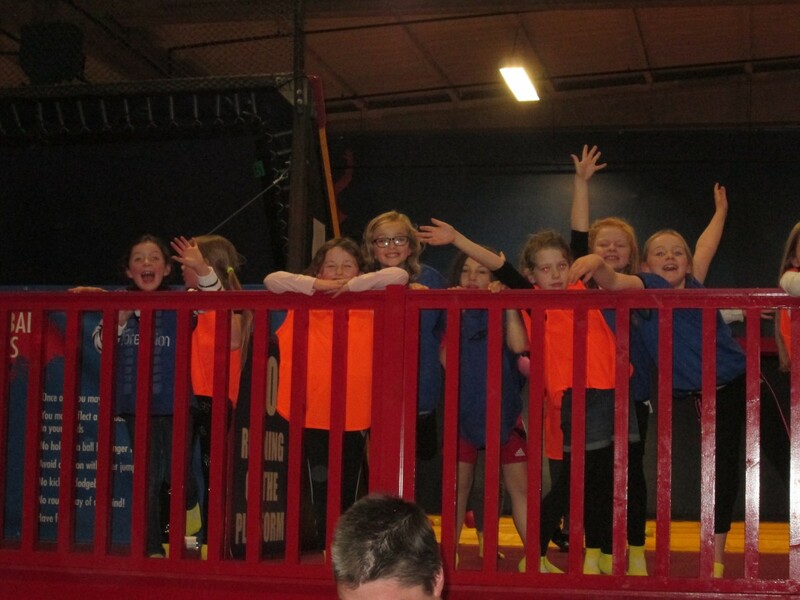 A great day was had by all and everything went very smoothly, thanks in no small part to all the parents who came along with us. 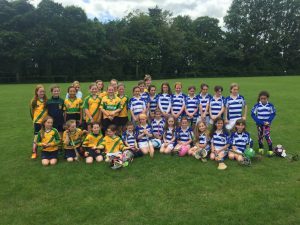 The three victorious Faughs Celtic teams that took part in this weeks blitz. 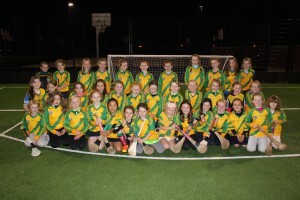 Going away to face three determined teams from BBSE, the girls came away with a clean sweep, 9 wins from 9 games. Congratulations to all the girls that took part and to their parents for the support from the sidelines.